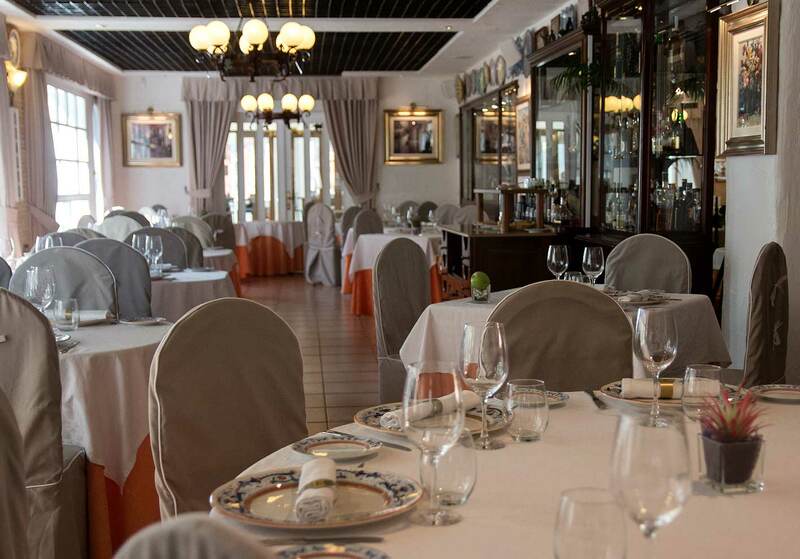 Terraza Carmona has ample event rooms for special occasions, meetings or to simply enjoy a great meal or dinner any day of the week. 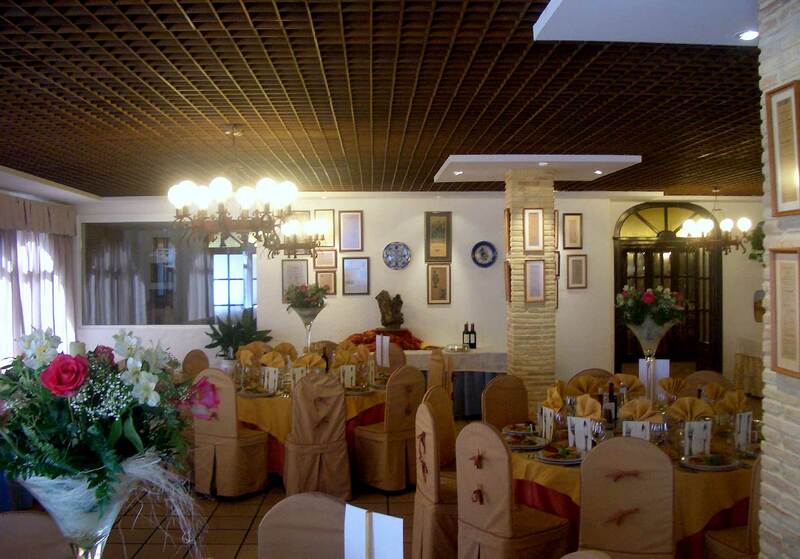 The event rooms are decorated exquisitely and wherever you turn you will find a corner with that special touch. 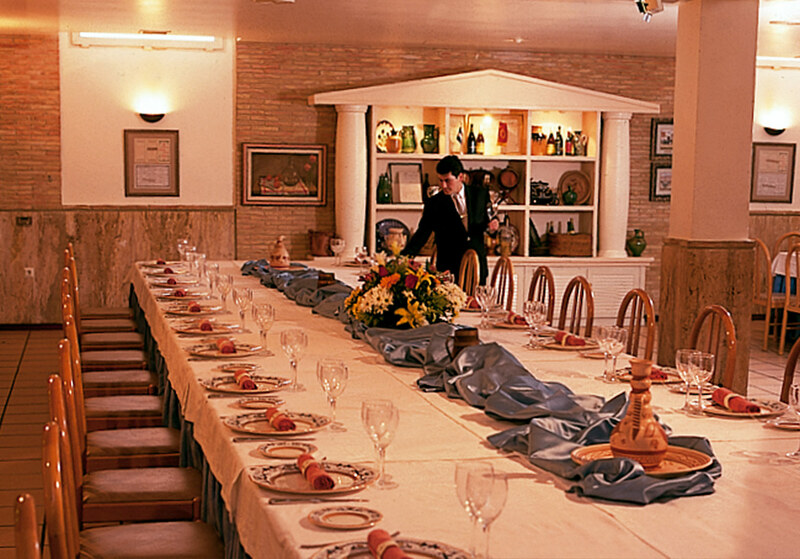 There are function rooms designed for conventions, business meetings, private dining rooms and a social room. 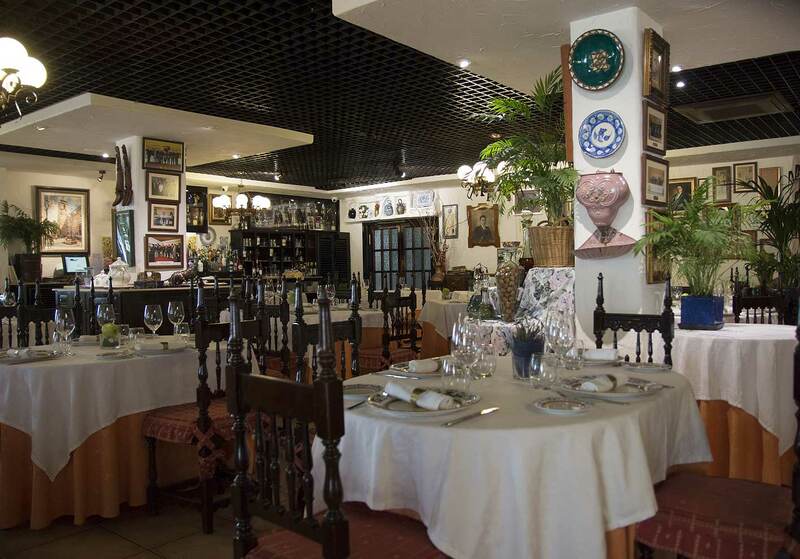 In this way, Terraza Carmona has become a grand Gastronomic Complex in the center of the city with its own carpark. 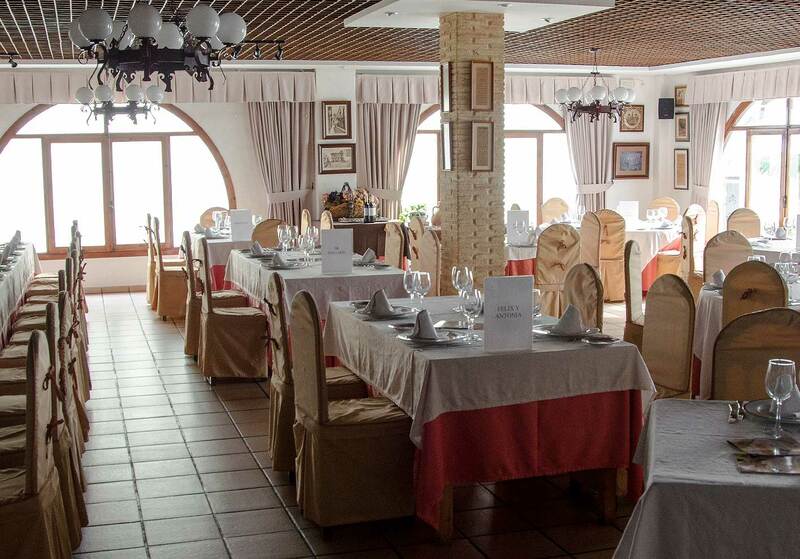 An ample and cozy dinning room comprised of different areas, decorated in an Naïf-Ibizan style which make it pleasant and comfortable for the deserving clients. 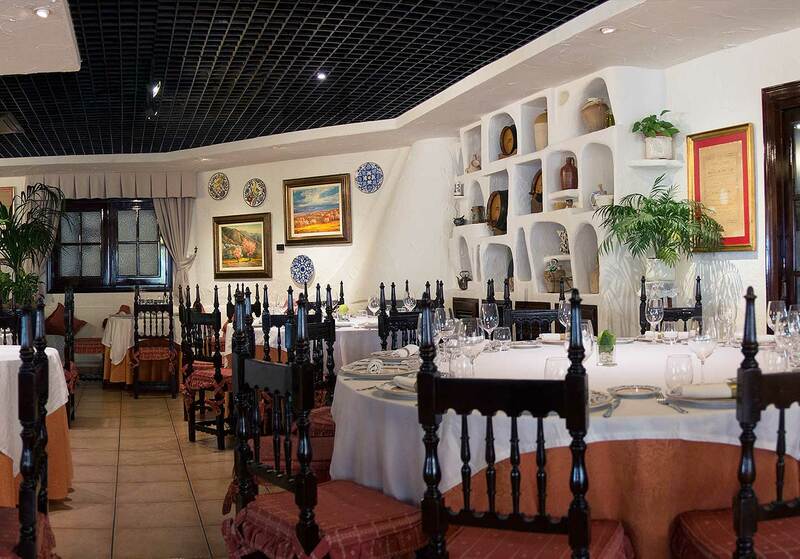 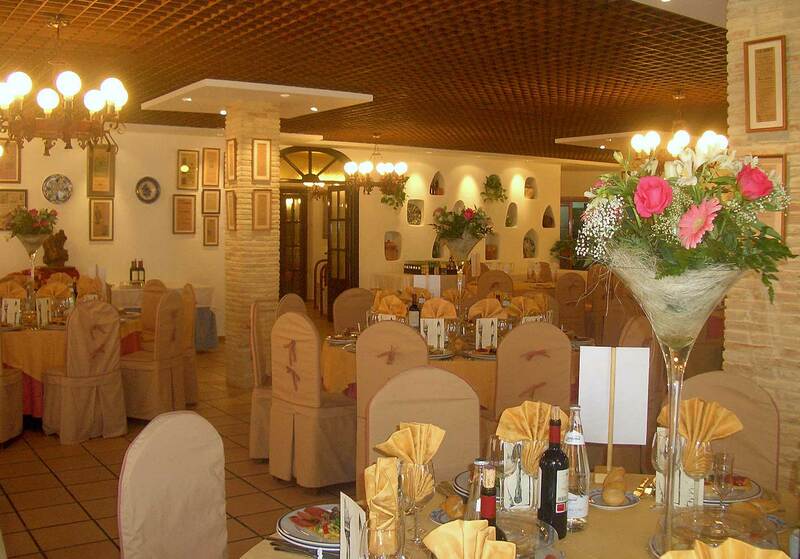 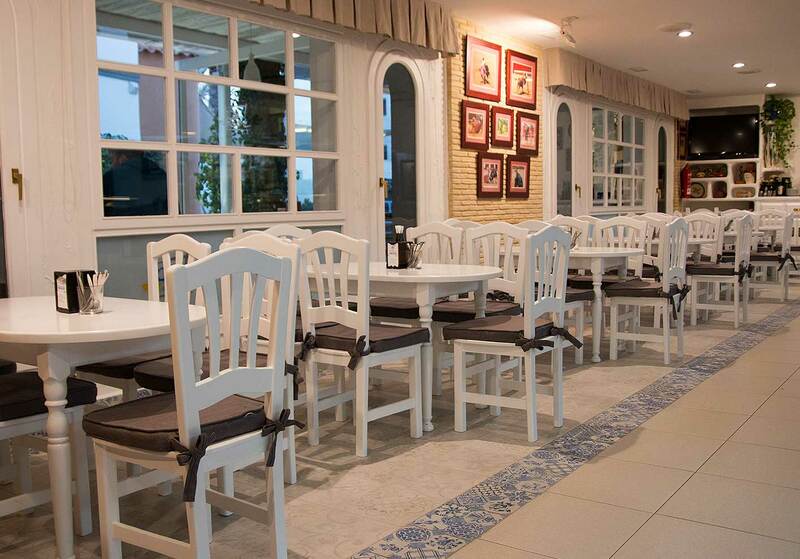 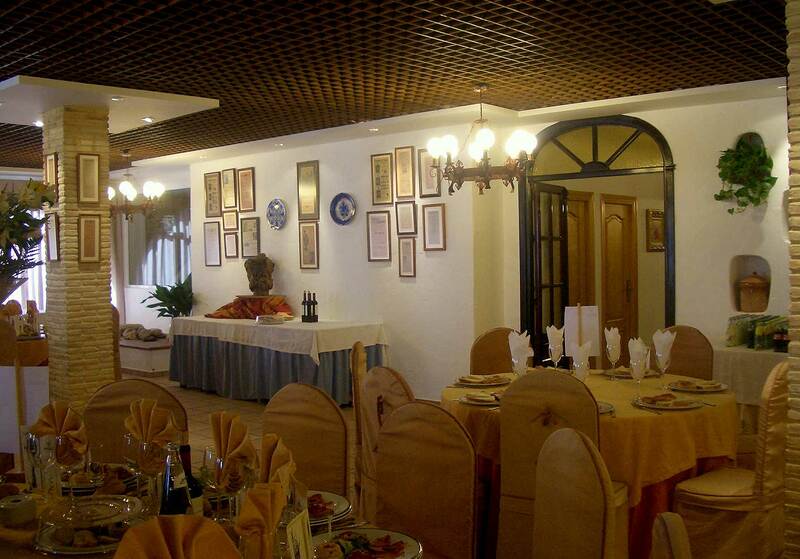 Terraza Carmona has two main function rooms for banquets, gatherings, conferences, etc. 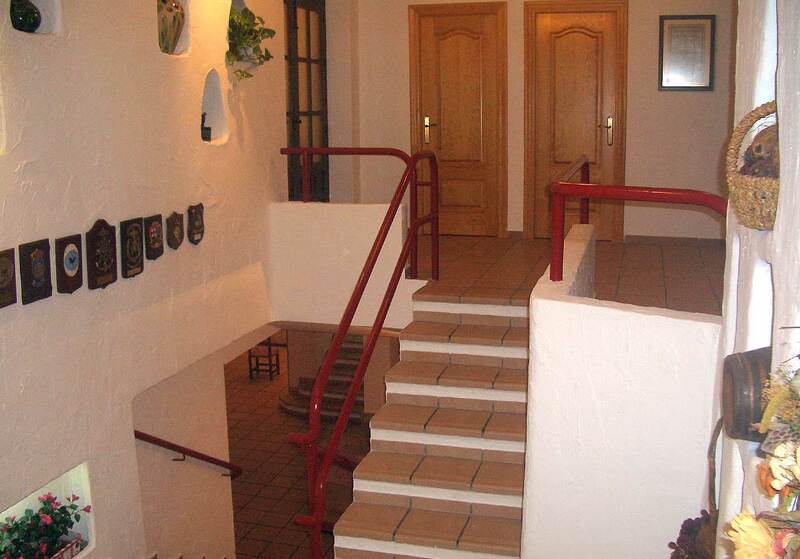 Located on the ground floor and main floor of the complex. 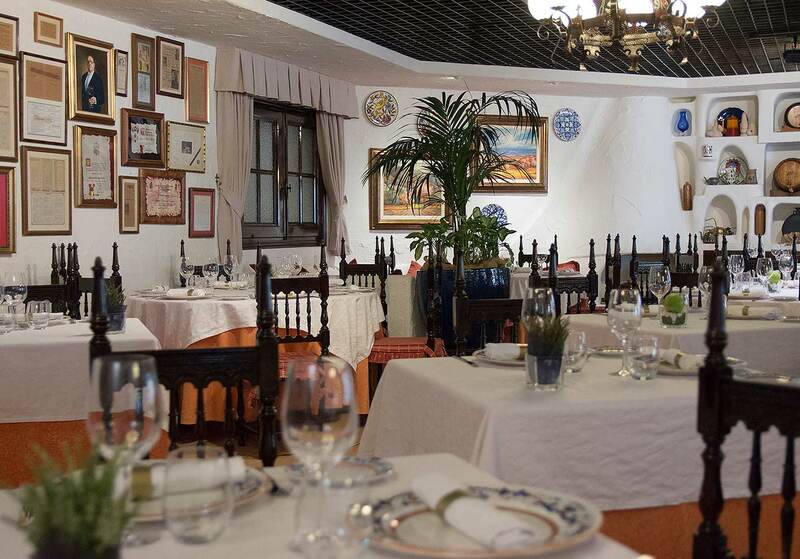 Each with enough room for 150 and 130 guests respectively, they are both decorated with bull fighting paraphernalia and paintings of Vera that reflect its history and festivities. 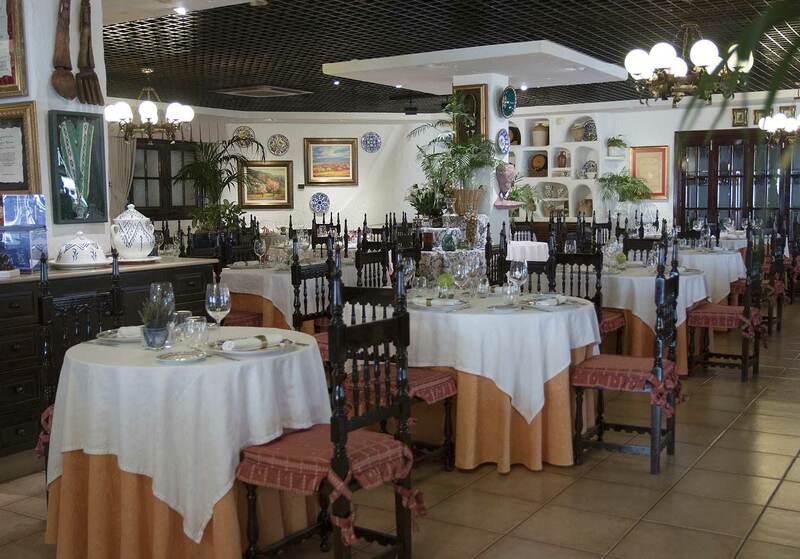 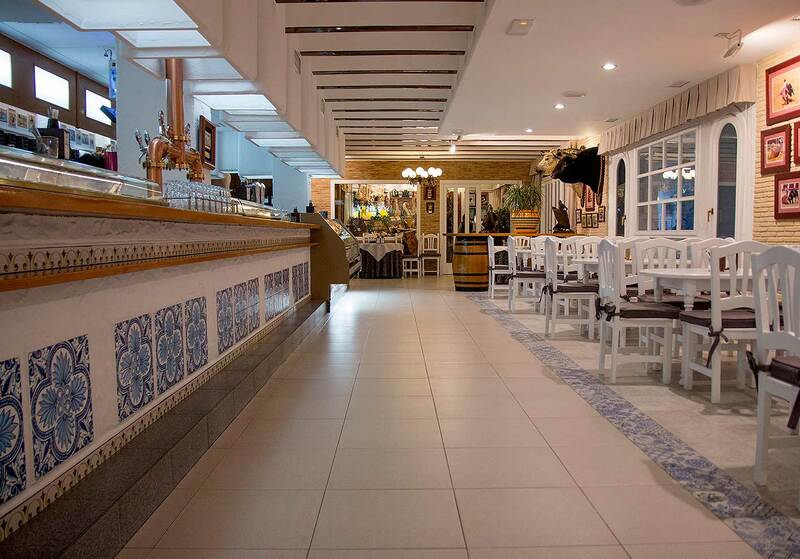 A large and original bar-cafeteria, where it is possible to sample-taste infinite tapas and rations (full plate) of exquisitely prepared traditional food. 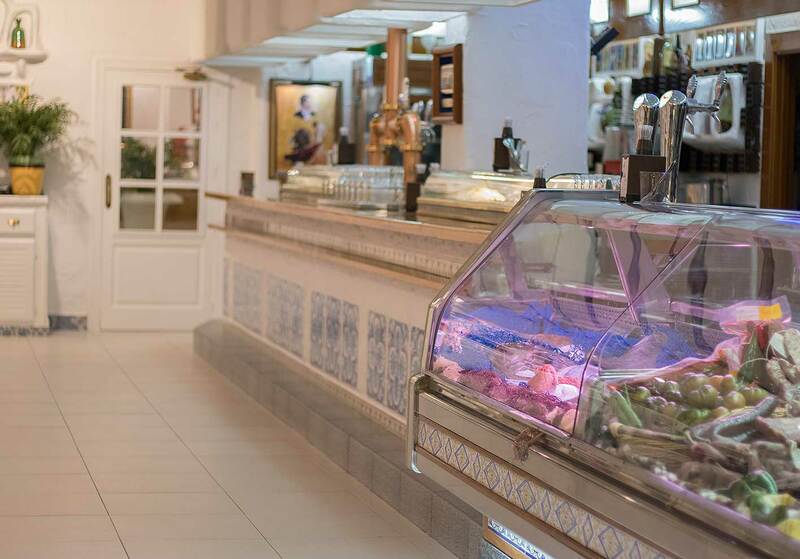 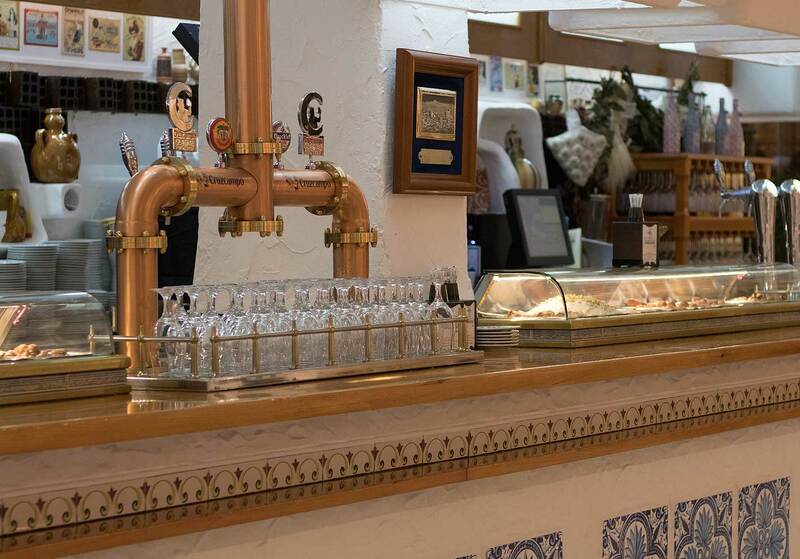 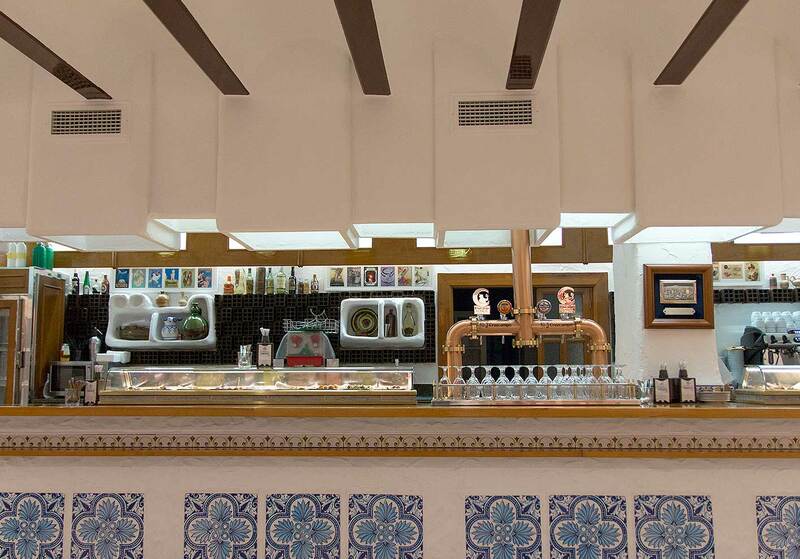 There are display cabinets for the fresh fish and sea food brought in daily directly from our shores, and the wine bar is decorated with cured meats, Iberian hams and historical remains from the city of Vera, making it an unusual sight.